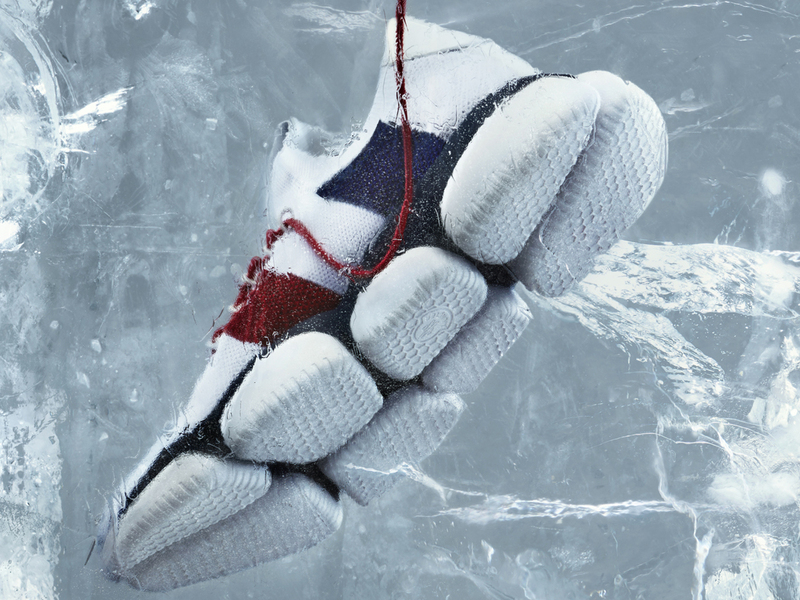 No one really knows the ‘sure-win’ formula of creating a bestselling sneaker in today’s day and age, but it’s safe to say that it must come with at least the 2 basic features shared below, something that Moncler has also done to perfection with its latest design, the Bubble Sneakers. Firstly, a lightweight rubber sole. Better yet if it comes with an interesting design element, which in Moncler’s case comes shaped like bubbles. Aside from looking good, the bubbles actually serve an important function, supporting the sole with individual islands of plush rubber that’s arranged to provide maximum support for the wearer by following the shape of his foot. Then, the knitted upper. Not only does it provide comfort, the knit material provides added flexibility, comfortably wrapping the feet without restricting movement. It also serves as a platform for design, with the Bubble Sneakers coming in 3 different knitted upper options. There’s a white pair which features a Blue/White/Red diagonal pattern running along the sides of the shoe. The next two includes a black version which comes with a contrasting Moncler logo panel or a full navy blue upper that’s finished with a turquoise sole. The last one isn’t as nice, which also explains why you’re only seeing two pairs above. 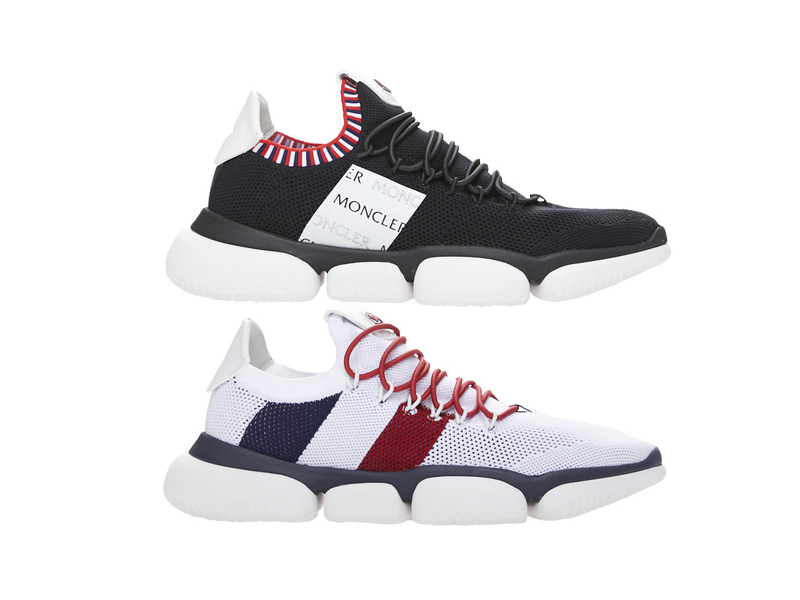 The Bubble Sneakers (from SGD810) ticks all the right boxes in terms of form and function, and are now available at Moncler’s standalone boutique within ION Orchard.